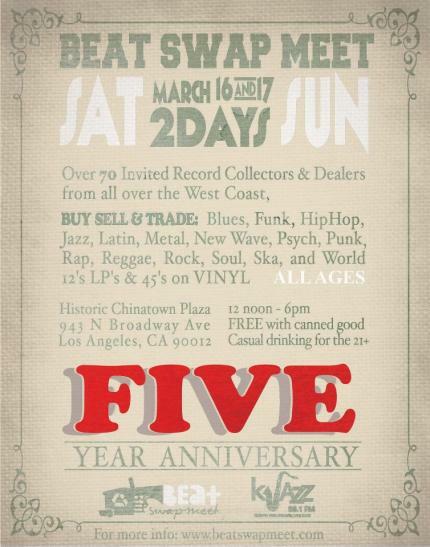 Beat Swap Meet Celebrates 5 Years This Month [03/16th & 17th]! This month, the Beat Swap Meet family has taken their record swap meet on tour to 5 different states! Towards the middle of the month, they will be celebrating five years in existence in Los Angeles for two days! Make sure you guys come out and support the celebration! This entry was posted on March 14, 2013 by unique74mag. It was filed under Uncategorized .